The strengthened partnership between the Fiji’s Ministry of Women and Barefoot College in Rajasthan, India, plans to open new training opportunities for Fijian women. This has been confirmed through a meeting last week between Minister Rosy Akbar and the founder of Barefoot College, Professor Bunker Roy along with the chief executive officer of Barefoot College International, Meagan Fallone. Ms Akbar said that new platforms will be created to provide Fijian women with the opportunity to be trained as solar engineers. “There is agreement between Barefoot College in Rajasthan, India, the Fiji Locally Managed Marine Areas Network (FLAMMA) NGO and the Ministry of Women in Fiji to train another set of women solar engineers this year. By end of February the stakeholders will complete the online submission for the solar training,” she said. “And in September this year, Barefoot College in partnership with local NGO partners and my Ministry, will convene with a regional refresher solar workshop in Fiji to upgrade the knowledge and skills of the trained solar grandmothers here and throughout the region. More than 30 Pacific Islands solar engineers will come together for this refresher workshop and it will provide an opportunity for them to be able to share their knowledge, experiences and best practices for development in their communities. 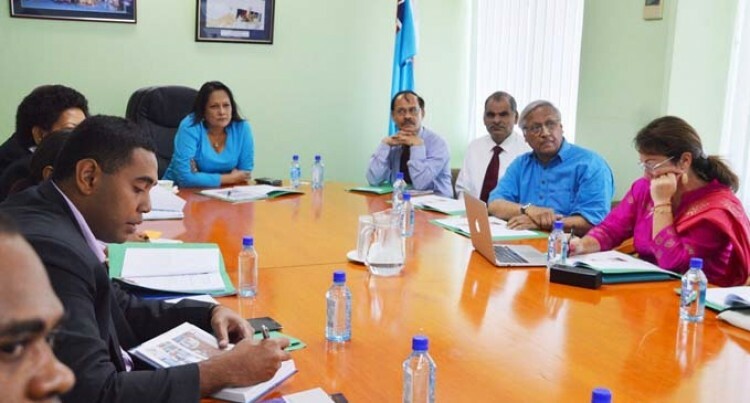 “The plans for the establishment of Fiji’s Barefoot College Pacific is progressing as well. The hardware and consumables for the development of the facility are manufactured in India and it will be shipped into the country with full installations from the Barefoot College engineers. Fiji’s Barefoot Regional Centre is expected to house the solar electrification training and accommodation facilities.